Paco was kind enough to give me a tour of Feeding South Florida’s giant distribution center that serves four South Florida counties – from Palm Beach down to Key West. This part of Florida stacks up pretty much like the rest of the country. There are many, many people experiencing hunger, 784,000 in fact. First things first, let’s start with some definitions. You probably already know this, but I did not. A food bank is a warehouse and primary distribution center for food pantries. A food pantry is the location where families and individuals can pick up the food they need for the week. 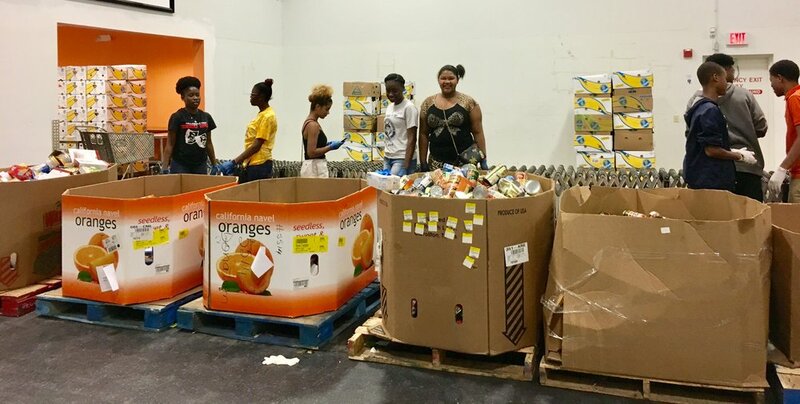 It’s astounding to think that feeding hundreds of thousands of Floridians is a process that depends so heavily on volunteers and donations of food, time, space, or money. The food comes mostly from farmers, retail stores, and suppliers. Some, but not much, comes from our food drives. So keep donating those canned goods. 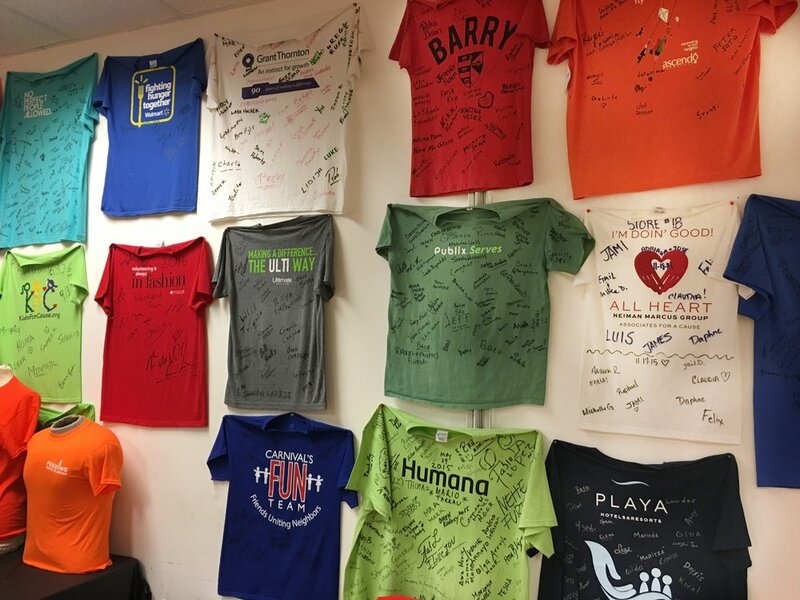 Partnerships with companies, schools, and churches provide the man/woman/youth power that sorts the food so that it can be stored or delivered to a local food pantry. Speaking of food pantries, they are almost exclusively staffed by volunteers. I knew that, but I hadn’t realized this means that they are not open very frequently. Many pantries are open only one day per week, which makes picking up food difficult for people, particularly because most of the people who need food aid work. I go to the store when it’s convenient for me whenever I’m driving by, but the working poor don’t have that option. There are some innovations that can help solve this inconvenience problem. That’s why Feeding South Florida is opening school-based food pantries. They work for families because parents drop their children off at school every day. Visiting a school-based pantry does not involve extra transportation costs or time. It’s a good idea for people with kids in school. 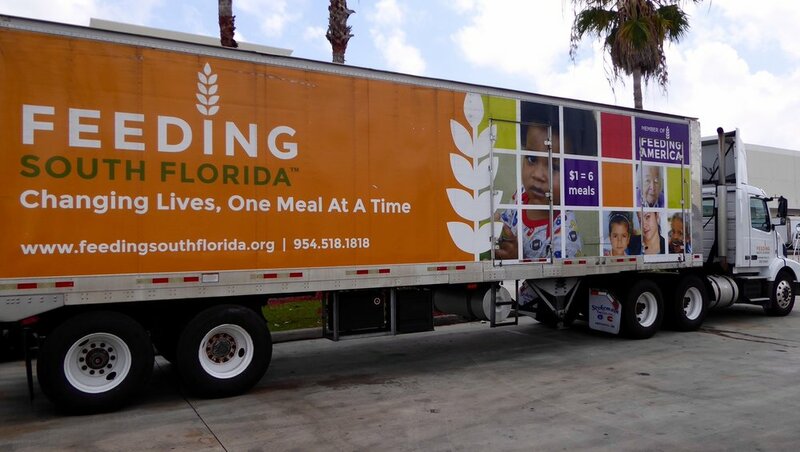 Almost 300,000 people in Miami-Dade are food insecure. One in 10 of our neighbors do not always know where their next meal is coming from. That’s disheartening and makes me even more keenly aware of how our wage and housing crisis is driving a health and nutrition crisis. I better really read the ALICE report rather than listen to spinets of it quoted on NPR or in the Herald. You probably should too. It’s the new bible about how working Floridians are struggling to make ends meet in an economy where 67% of jobs pay less than $20 per hour. No wonder the silent epidemic of hunger is so pervasive.